Despite the passage of time, the popularity of the French revolution has not diminished. Aside from the abridged translation of Jean Jaures’s multi-volume Socialist History of the French Revolution, the last decade has seen a significant output from writers like Éric Hazan’s People’s History of the French Revolution (published in French in 2012) and several other high profile books. The French Revolution was an event of world historical importance. It would not be an overstatement to say that it changed not only European history but world history. The Revolution also changed the way future generations saw revolutions. Historians still argued about the processes of historical change that were thrown up by the revolution. This new abridged version of the writings of Jean Jaures painstakingly put together by translator Mitchell Abidor is a welcome addition to an already crowded market. Jaures’s original work filled several volumes. Jaurès was born in Castres in Midi-Pyrénées in 1859. He became a leading international socialist who was later assassinated for opposing the first world war. He was also the celebrated leader of the French Socialist Party leader. His history of the revolution was published in 1914. His work has stayed fresh and has endured the rigors of time. It is one of the most important and influential accounts of the French Revolution. Mitchell Abidor’s much-anticipated translation brings Jaures’s work to an English audience for the first time. Jaures application of the historical materialism method will help students, academics, and the public to a greater understanding of this complex event. Jaures account of the revolution is not without controversy. Throughout his work on the revolution, he defended Robespierre’s reputation. Jaures believed that Robespierre acted out of necessity and in the words of one writer “to save the new republic from its enemies. Robespierre, like Jaurès after him, was anti-militarist and argued passionately against war with Europe in 1792. Jaures use of narrative history makes his work very readable without lowering political or academic standards. Despite Jaures concern to portray ordinary people in his work, this is not a “history from below”. Despite the working class appearing on the scene, Jaures was careful enough not to portray this revolution as a proletarian revolution while the working class may have stormed the Bastille this was firmly a revolution in the control of the developing bourgeoisie. Per Jaures “The Revolution's origins were so profoundly bourgeois that a few weeks after July 14, when the National Assembly, freed by the people from the court's attacks, set up the electoral regime and excluded millions of the working poor from the vote... not even the most democratic of them remembered that at the Bastille the workers of Paris had conquered the title of active citizens for the poor of France. Jaurès continues “that the proletarians were neither bold enough, conscious enough, nor organized enough to substitute their revolution for the Revolution, they marched light-heartedly against the chateaux and turned against the ancien régime the weapons they'd seized... We can see that there was a kind of conservative movement of contraction, or tightening, which was followed by a revolutionary expansion. Under the fear of the unknown and before the uprising of the have-nots, the communities of the villages withdrew into themselves, elected men of whom they were sure, established a militia, and, having thus guaranteed the order of property within the Revolution, attacked the feudal system”. The contradiction between the entry of the working class onto the stage of history and the bourgeois nature of the revolution is at the heart of Jaures work on the revolution. Henry Heller in his introduction is correct in one sense to point out that Jaures saw the French revolution as the first struggle of socialists to overthrow capitalism. Given the abridged nature of the book, Heller’s introduction takes a more significant role than is normal for an introduction. As Jaurès writes “Perhaps it wasn't possible for one generation alone to bring down the ancien régime, create new laws and rights, raise an enlightened and proud people from the depths of ignorance, poverty, and misery, fight against an international league of tyrants and slaves, and to put all passions and forces to use in this combat while at the same time ensuring the evolution of the fevered, exhausted country towards normal order and well-ordered freedom”. Jaures was an astute enough writer to know the French revolution was not a chemically true revolution. The bourgeoisie was not a homogenous class and was made up of factions who were still integrated into the social and economic structures of the ancient regime. Other sections of the middle class who were unable to profit from the old system established new forms of production undertook a revolution to benefit from it. As Jean Jaures said, the finance bourgeoisie represented a hybrid social force at the crossroads of the ancient regime. The reaction to the revolution of the European bourgeoisie was one of fear and horror. Best summed up by Edmund Burke “France has always more or less influenced manners in England; and when your fountain is choked up and polluted, the stream will not run long, or not run clear, with us, or perhaps with any nation. This gives all Europe, in my opinion, but too close and connected a concern in what is done in France. Excuse me, therefore, if I have dwelt too long on the atrocious spectacle of the 6th of October, 1789, or have given too much scope to the reflections which have arisen in my mind on occasion of the most important of all revolutions, which may be dated from that day, I mean a revolution in sentiments, manners, and moral opinions”. Having said this the bourgeoisie in France and in Europe for that matter were not opposed to scupper democratic norms when they got in the way of making money. As the Marxist writer, Ann Talbot shows us “The imperatives of private property and profit were not about to stand still, and the Jacobins had no alternative form of social organization to offer. Robespierre did not need to imagine conspiracies. They arose in plenty. Just across the Channel, the emerging capitalist power of Britain could afford to finance the armies of the surviving ancien regimes and uprisings such as that in the province of La Vendée. The domestic opposition was produced by the war profiteers and grain merchants, who exploited the continuing shortages of food”. Jaures was clear that this most dramatic of revolution was certainly the most politically significant within Europe. While there are some parallels with the English revolution, this was unlike any other previous revolution. In Britain and America, Tom Paine was an extremist in France he was a moderate. Per Ann Talbot “Paine’s life story reflects the experience of a new social type: self-educated men from poor backgrounds who were making their way in industry, science and, in Paine’s case, politics. He was the most brilliant example of this new phenomenon. The country of which he had become a citizen was menaced from within by aristocratic conspiracies and from without by aggressive neighbors, as intent on furthering their own interests as restoring the ancient regime. France was isolated; its economy and currency were collapsing. These facts colored the history of the revolution. The French revolutionaries were increasingly forced to create an emergency wartime regime and take drastic measures. The Great Terror grew out of the Great Fear". Like many things regarding the French revolution, the reason for its outbreak has little or no agreement amongst historians. The crisis began in 1787 the trigger being the king's attempt to stop state bankruptcy. Coupled with this was the fact that France had been involved in a significant number of wars on an international scale. Deregulation of agriculture began to hit the poor the most. Hostility against the excess of the clergy and the nobility who had creamed off most of the money. The advent of the humanist and scientific development produced the ground for the philosophers to challenge the monarchy. Many thinkers came from the bourgeoisie who sought to undermine the aristocracy. The position of the peasantry had been growing worse for over 20 years. France had run up massive debts during the war in America. The Revolution was started by the assembly of notables demanded an extension of their privileges. The revolution was not led by a formal political party with a systematic program. The revolution did have a remarkable consensus amongst its leader’s. At its heart was a new capitalist class, who had rational thinkers who were confident of their ideas. Although the revolution would have happened without them. They made sure that when the regime broke down something could replace it. Their demands were laid down in the declaration of the rights of man, men are born equal, but some are more equal to paraphrase George Orwell. Their regime would, however, constitute the will of the people and to represent the French nation. A national assembly was formed to enshrine the power of this new class. Absolutism was at an end, Mirabeau was to declare to the king “sire, you are a stranger in this assembly, you have not the right to speak here”. The new assembly had a broad base and represented the laboring masses and peasantry. A Bad harvest had turned things nasty, and open revolt occurred. The king refused to accept the status quo’ the next stage of the revolution saw the storming of the Bastille. July 14. What began as peasant uprising sparked a wider movement? Feudalism was abolished in1793; the middle class finally consolidated its regime. The middle class had to deal with both the conservative right and left-wing who were determined to pursue their own agenda? This brought two groups to the fore, the Jacobeans and the Sansculottes both represented the small middle class. Small farmer’s artisans who were being squeezed by the new larger middle class. The sharp changes brought about in France stirred fervent actions outside its borders, as monarchies grew fearful that it could be repeated elsewhere. The purpose of the revolution was to usher in a new class. The bourgeoisie, however, unstable this was to be the subsequent riots were an attempt by the various contending factions to gain power at this the working class did not constitute and free class yet sided and was led by one section of the middle class. In much respect, the history of this revolution determined the history of Europe. It is not within the realm of this review to discuss every single revisionist trend about the revolution. There are a similar theme amongst revisionists in that the French revolution was not a bourgeois revolution. Hazan continues “that the words “bourgeois” and “bourgeoisie” were rare in late-18th-century France: “I have found ‘the rich’, ‘hoarders’, ‘aristocrats’, ‘plotters’, ‘mono­polists’, ‘rogues’, ‘rentiers’, but scarcely a single ‘bourgeois’.” He concludes that the question “Was the revolution bourgeois or not?” does not mean anything. Amongst the more classically minded historians was Alfred Cobban (24 May 1901-1 April 1968) also opposed a historical materialist understanding of the French Revolution. Amongst the historians of the French classical school like Cobban wrote an article entitled the Myth of the French revolution Basic premise was to deny the anti-feudal and bourgeoisie nature of revolution. The Revolution saw the revolution as the high point of the Enlightenment. Albert Soboul sought to defend a materialist method of understanding the cause of the French revolution. He believed that even within the liberal school of historians the revolution was a social act that paved the way for the bourgeoisie to come to power. That the revolution had been prepared ideologically had prepared its ideas, which undermined the existing feudal regime. Per Lefebvre “Without scholarship there is no history.” It is evident the revolution itself was the result of complex changes in inside France and Europe. Each generation of historians has added immense understanding to this event. It also must be stated that the attack on a historical materialist understanding of the revolution has done considerable damage. Despite this, there will be a thirst in the coming period for a materialist understanding of past revolutionary events. In this context, the work by translator Mitchell Abidor should be a tremendous service to increasing one’s knowledge of the complex historical event. While the problem with any abridgment is that it must m choose what to leave out, it will hopefully push readers into reading far more on the subject than they had intended which mean that some readers might want to read further on the Revolution. This book deserves a wide readership. Hopefully, it gets the readers it deserves. 2. Jean Léon Jaurès (full name Auguste Marie Joseph Jean Léon Jaurès; 3 September 1859 – 31 July 1914) was a French Socialist leader. 4. “Edmund Burke was a Whig politician and political propagandist. He was a friend of Paine’s. Paine had often dined with him and wrote to him enthusiastically while on a brief trip to France. Burke had spent most of his political life on what would be thought of, in modern terms, as the left of politics. If he had died at 60, history would have remembered him as a radical who supported enfranchising Catholics and dissenters, wanted home rule for Ireland, opposed slavery, impeached Warren Hastings for plundering India, favoured Parliamentary reform, attacked governmental corruption, tried to curb the power of the monarchy, and backed the American Revolution. But during his 61st year, Burke wrote Reflections on the French Revolution, the book on which his reputation rests, he denounced every principle of the revolution and the Enlightenment, especially social equality. He particularly feared its internationalism. and Said, it would “abandon his best friends and join with his worst enemies,” to prevent the contagion of French ideas spreading to Britain. And this was exactly what he did. He split the Whigs and broke with the friends of a lifetime who continued to support the French Revolution. Paine was one of them”. Like many other aspects of the history of the English Civil War, its impact on society, politics and the economy has caused serious disagreements among historians. While a substantial minority (albeit in the past) have said it is impossible to ignore or deny that the civil war did have some impact and that changes did occur in the social, economic and political superstructure, others have played down appreciably the consequences and some have even tried to deny that social changes were crucial in determining the outcome of the war. Certainly, over the last quarter of a century, it has been highly fashionable to question the social context of the civil war. In her book, The Causes of the English Civil War p117 Ann Hughes says this changing historical fashion can be illustrated from the titles of two collections of sources covering early modern social history. In 1965, Lawrence Stone published Social Change and Revolution in England 1540-1640, whereas Barry Coward produced Social Change and Continuity in Early Modern England1550-1750. The coupling of continuity rather than revolution with social changes in the latter work reveals a more qualified assessment of the extent of transformation at the beginning of modern England. The New Social History historiography appeared in the early 1970s. According to some historians, it was perhaps the last major historiography of the 20th century to try and explain the complex historical phenomenon known as the English Civil War. Prior to the 1970s, Social History had mostly been limited to a study of everyday life. During the last thirty odd years, the subject has come to prominence because some aspects of it have become the bête noir of a number of revisionist historians. The most positive side of the new history is that it has brought into the public domain the lives of working people or the poor who had largely been ignored by historians. On the downside, this new history became divorced from any form of economic or materialist explanation of the civil war. This collection of essays comes predominantly from historians who in one way or another question the impact of the war with the sole exception of John Walters. The contributors to this book are largely against any form of Marxist historiography. In his introduction, John Morrill is correct to point out while there is general agreement amongst historians of what to call the events in France around 1789 or 1917 in Russia. However, there is microscopic agreement as to what to call the revolutionary events in 1640s England. A reader coming to these events for the first time will find out that this problem is down to many factors. A major one being the political bias of the historian. 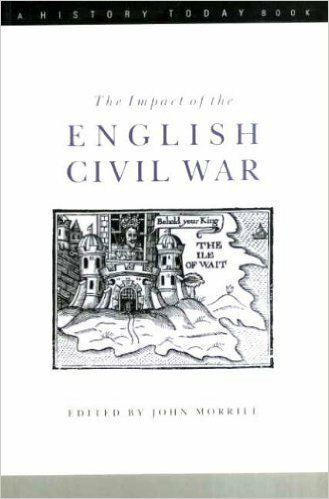 Another is the sheer complexity of the historical crisis that gripped the English state. The book is recommended in the sense that it does give the reader a broad range of differing views albeit absent is a Marxist explanation. The book is simple in design but has a generous supply of fantastic illustrations which in themselves are worth further exploration. Chapter one is Charles Charlton’s the Impact of the fighting. Charlton begins by assessing the number of dead and wounded during the conflict. Another ground for disagreement. Charlton highlights one of the biggest problems is that when dealing with primary sources regarding causalities they are open to bias depending on which side they came from? According to D H Pennington, “it was the bloodiest conflict in relative terms in English history” crops and land were seized; cattle and horses were taken. Pennington makes the point that the Royalists were often more brutal than the Parliamentarians. Taunton was according to Clarendon a third of the town was destroyed by fire, but according to Sprigge a flourishing city was all but destroyed. A number of books have come out recently which contain important sources of eyewitness accounts of the civil war. One such is J Adair by the Sword Divided Adair highlighted one particular aspect “which was the development of social advancement inside the army and service in the armies of parliament certainly provided opportunities for social advancement. At first, the rival armies were officered by men of much the same social status, but gradually new people from the middle, lower middle and artisan classed moved into positions of responsibility, both on committees that ran the war and in the wider army. John Hampden’s Shepherd, Thomas Shelbourne, rose to be colonel of Cromwell regiment of Ironsides and there were similar stories. The more conservative Puritan gentry objected to their newcomers as much as on social grounds as on account of their often unorthodox or radical religious views”. Forced requisitioning took place but a lot of goods were paid for at market prices. Adair says while there was “decay of life” there was also opposite to this massive growth of profits for many people. Also, things such as the legal system remained relatively healthy and survived unscathed. In the London, the impact of the civil war is hard to assess in many respects everyday life carried on as normal. London also avoided sack or siege, however, emergency wartime powers were resented by large sections of the population. Its economy was vital for the New Model Army and this state of affairs led one Royalist to lament “if posterity shall ask who pulled the crown from the king’s head said it was proud unthankful schismatically, rebellious, blood City of London”. Charlton who came from a military background is particularly keen on military matters but when it comes to a more in-depth understanding of why people fought and how the war came about the chapter is very light. People on both sides of the war “chose deliberately which side they fought on. Chapter Two the Impact on Government by David L Smith. Smith seems to argue that the civil war was largely a defensive maneuver by parliament against a corrupt and inept monarchy. Smith believes that no appreciable changes occurred during the civil war and protectorate and we quickly move onto a united monarchy after Cromwell’s death. Suffice to say this is not Morrill’s position. Therefore, I find his analysis on Puritanism a little one sided. Also, there appears to be an absence of struggle in Morrill’s chapter. Next, to nothing is made of the differing radical Puritan groups that were outside mainstream Puritan politics. This is the history of the victors as Christopher Hill would have said. Little is mentioned of radical sects such as the Ranters, who flourished in England at the time of the Puritan Revolution. While it is generally accepted that there was not a massive amount of unrest and protest during the civil war, there was riots and unrest. John Morrill has made the point that changes in social and economic policy were mostly controlled by the middling sort and large-scale outbreaks were prevented by this class. However, there was a tangible fear amongst sections of the middle class who feared the little people As Lucy Hutchinson  writes with disdain, “almost all the Parliament garrisons were infested and disturbed with like factious little people, in so much that many worthy gentlemen were wearied out of their command, some oppressed by a particular sort of individuals in the House whom, to distinguish from the most honorable gentlemen, they called worsted stocking men”. Hutchinson is probably referring to the people that were increasingly being influenced by the Levellers who expressed an awareness especially among the lower sections of society that in order to have a say in these changes they must organise through some kind of political organisation. The ideas of these group portrayed the views of the lower strata of society. Their ideas of wider democracy and equality were an anathema to the victorious upper-middle classes. It was as necessary for Cromwell to crush the Ranters as to liquidate Lilburne’s Levellers and Winstanley’s Diggers. Chapter IV The Impact on Political Thought by Glen Burgess. For a substantial part of the 20th-century, civil war historiography was dominated by Marxist historians who were clear that social and economic changes did bring about changes in people's thinking. Burgess in this chapter does not agree that there is a connection between economics and politics which Marxists have commonly described as the relationship between base and superstructure. As Karl Marx explained in his Contribution to the Critique of Political Economy (1859)“In the social production of their existence, men inevitably enter into definite relations, who are independent of their will, namely [the] relations of production appropriate to a given stage in the development of their material forces of production. The totality of these relations of production constitutes the economic structure of society, the real foundation, on which arises a legal and political superstructure, and to which correspond definite forms of consciousness. The mode of production of material life conditions the general process of social, political, and intellectual life. It is not the consciousness of men that determines their existence, but their social existence that determines their consciousness. At a certain stage of development, the material productive forces of society come into conflict with the existing relations of production or — this merely expresses the same thing in legal terms — with the property relations within the framework of which they have operated hitherto. From forms of development of the productive forces, these relations turn into their fetters. Then begins an era of social revolution. The changes in the economic foundation lead, sooner or later, to the transformation of the whole, immense, superstructure. In studying such transformations, it is always necessary to distinguish between the material transformation of the economic conditions of production, which can be determined with the precision of natural science, and the legal, political, religious, artistic, or philosophic — in short, ideological forms in which men become conscious of this conflict and fight it out. Just as one does not judge an individual by what he thinks about himself, so one cannot judge such a period of transformation by its consciousness, but, on the contrary, this consciousness must be explained from the contradictions of material life, from the conflict existing between the social forces of production and the relations of production”. Burgess goes on to explain that previous approaches to ideological struggles in the Revolution were expressed through an examination of pamphlets of the 1640s. While recognition that the literature was partisan they were taken “at face value, as part of a philosophical debate.” This approach, says Burgess, may be "inherently distorting." Burgess believes that politics were fluid and that no one really stuck to their principles but ideas were mere "rhetoric." His examination of the different groups including radical groups guides his approach. He believes that the various political groups were mostly acting empirically. Taking advantage of changes in the political situation with some rhetorical statements. This, in my opinion, does not explain the complex philosophical problems that were being tackled by people like Thomas Hobbes and Harrington to name just two. In Anti Duhring Engels said if “Englishmen nowadays do not exactly relish the compliment they paid their ancestors, more’s the pity. It is none the less undeniable that Bacon, Hobbes and Locke are the fathers of that brilliant school of French materialists which made the eighteenth century in spite of all battles of land and sea won over Frenchmen by Germans and Englishmen, a primarily French Century, even before that crowning French revolution, the results of which we outsiders, in England as well as in Germany are still trying to acclimatise”. Chapter V the Impact of the New Model Army. Ian Gentles does an excellent introduction to the New Model Army. John Walters chapter is a bit of a strange choice in this selection essays in so much as you would not classify him as a revisionist historian. In fact, he would be much closer to the Marxist historians. His work is always impressive and this essay carries on in the same vein. Walters actually believes that the world was turned upside down. Walters examines large swathes of primary sources but like a good historian does not take them at face value. He recognises that these are not impartial documents but were weapons of war. Significantly it is in this chapter that we get a real feel of the social turmoil that existed during the civil war. Walter’s believes that large segments of the population were becoming radicalised and became involved in all number of political and military activity. Riots broke out all over the place and many of these reflected the level of poverty that existed. Walters believes that these disorders threatened the social order. Walters is the only chapter that women get a look in. while not examined in any depth Walters recognises that large sections of the female population were being radicalised alongside their menfolk. Over the last decade or so we have seen a relentless campaign to promote the death of Marxism. It is perhaps then a little surprising that over the corresponding period we saw a plethora of biographies on the Russian revolutionary Leon Trotsky. Over the past ten years, we have seen four English-language novels and four English-language academic books. This is not counting books produced in other languages. Patenaude, a fellow at the Hoover Institution, had unprecedented access to Trotsky’s personal papers at Harvard and of course to documents held at the Hoover archives. Even this privileged access has not prevented him from repeating some distortions and fabrications about Trotsky and the Russian Revolution. It is unfortunate, but Patenaude’s book is not the only one to give an inaccurate and politically driven portrait of Leon Trotsky. Many of these recent books do not have even the most basic academic integrity. The current low standard of books on Leon Trotsky has not always been the case. A significant number of historians who while not being close to Trotsky’s politics have written excellent and in most cases objective books. It is not possible to examine all of them, but perhaps the historian worth reading the most is E H Carr. Carr was followed by the writer and historian Isaac Deutscher who had close links with Trotsky’s Fourth International. He published three biographical trilogies: The Prophet Armed, The Prophet Unarmed, and The Prophet Outcast. Unlike Carr Deutscher was sympathetic to Trotsky and his ideas. Deutscher was expelled from the Polish Communist Party for Trotskyism in the 1930s. He was a delegate to the first conference of the Fourth International. However, he disagreed with Trotsky over the founding of the Fourth International in a period of defeats and believed that the new group was too weak. His books are still standard reading for anyone interested in the topic. This cannot be said of the current spate of biographies? These books are in many ways a useful barometer to the growing shift to the right in academia. After all, academics do not live not in a vacuum and are subject to the many ideological pressures that rage throughout society. It is churlish to say that every writer who produces a work on the figures of the Russian Revolution should adhere to Marxism but is it too much to ask for some objectivity or even real serious history. It is hard not to notice that most history departments have become little more than production lines for anti-Marxist books. 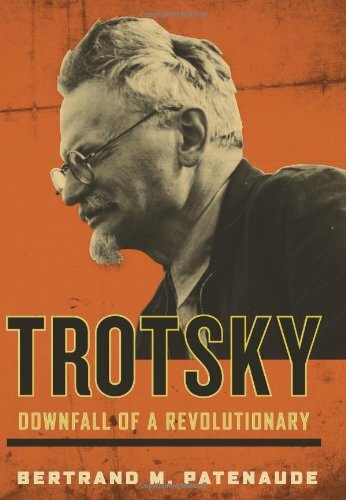 In the preface of his book Service makes the boast that he is "the first full-length biography of Trotsky written by someone outside of Russia who is not a Trotskyist." This is simply not true. It is hard to believe that the editor of this book would have let this comment pass without checking it. North has also been heavily critical of other biographies of Trotsky by Geoffrey Swain and Ian Thatcher. Thatcher from Leicester University produced his Trotsky in 2003 published by Routledge. In his opinion “Thatcher and Swain belittled Deutscher for creating the “myth” of Trotsky. The Thatcher-Swain biographies set out to create a new anti-Trotsky narrative, utilizing slanders and fabrications of old Stalinist vintage in the interest of contemporary anti-communism”. Thatcher’s Trotsky as North says is little more than character assassination. The book is also heavily pregnant with undocumented assertions. Like Service’s book both make it exceedingly difficult for the average reader to trace articles and evaluate for themselves Thatcher’s and Swain’ comments. Even something basic as footnotes are not very accurate and sometimes misleading. Patenaude is not immune to this right wing shift in academia. His book despite being better than some others does sufferer from the repeating the same myths and mistakes of previous books. Patenaude’s use of sources close to Trotsky who were either hostile or had broken with his politics is not really useful, and Patenaude is far too uncritical of them. Patenaude relies a great deal on the testimonies of Trotsky's bodyguards. These are mainly from the American Trotskyist movement. Many of these people had broken with Trotskyism and should have been treated with caution. It is clear that Patenaude is not entirely acquainted with Trotsky’s writings and politics and still less so with the major political ‘social and cultural subjects tackled by Trotsky. This limitation on his part could have been rectified by quoting from writers that did. Patenaude does portray a certain amount of sympathy for his subject which is done so from a liberal, not Marxist standpoint. He also has the annoying habit of using throwaway lines such Trotsky attempted to "cloak the Bolshevik coup" and that Trotsky "helped create the first totalitarian state." Aside from not being true Patenaude does little to back up such a serious charge. His viewpoint on other struggles inside the Bolshevik party is predominantly impressionistic. On the plus side, Patenaude’s account is important because it brings together a wide range of sources on Trotsky’s murder. Some these sources have not been available in English before. 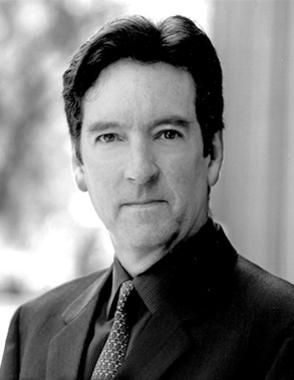 He also makes use of the personal papers of the Alexander Buchman, Albert Glotzer and the FBI and the GPU agent Joseph Hansen. Patenaude employs a novelist type writing style. It is a shame that this style does not work when he tries to use this method when encountering Trotsky’s revolutionary past. The primary focus of the book centers on the last decade of Trotsky's life and work. Patenaude portrayal of Trotsky’s life while 'imprisoned' in Blue House would in some instances not look out of place in cheap adult books and sometimes borders on the salacious. 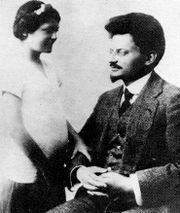 Having said that he does manage to show the element of tragedy in Trotsky’s life. Barely a member of Trotsky’s family and close friends survived Stalin’s murderous clutches. Despite having unpatrolled access to Trotsky’s archive, Patenaude has nothing to say politically that has not been said before. Not much is said about Trotsky’s followers around the world. Next, to nothing is written in the preparation and discussion following the publication of the Transitional Programme. It is clear that Patenaude has no sympathy for the Trotskyist movement. He believes it is full of “sects” and is riddled with “splits and mergers.” Trotskyist’s will need a strong stomach if they read this book. The book is likely to gain a wide readership, but young people and workers and the general reader interested in the life and ideas of Leon Trotsky who struggled against Stalinism, fascism, and capitalism, should read as much as possible of the great man himself and, at least, a few biographies from a much earlier period these should be read in conjunction with this book.